I just finished burning a CD-ROM to follow up on a job interview I had yesterday.I used the Verbatim CD-R that came with the drive.I burned the label first (maybe that was my mistake?) and then popped the CD into my Mac to do a simple drag, drop and burn.The Mac wouldn't recognize it, so I popped it back into the LaCie.I still got a disc unrecognized error, but I pressed on.I burned the disc and then got an error.Unfortunately, I didn't make note of it.Afterwards, I tried to verify the disc and got an error.I've gotten errors before, so I didn't think anything of it.Popped the CD into my Mac and it got stuck!It spun around and around, making weird noises and took me forever to eject it.Then I put it in the LaCie and it got stuck in there, too!Now I'm stuck with an unusable CD I was supposed to mail today.I'm hesitant to buy more media because I don't want to waste the money, but I have to send this disc.I just dashed off an 'e' to LaCie.Hopefully they will have something helpful to say this time.I sent a note last week about disc artifacts and audio sync problems on my DVDs and the brilliant tech told me to use the discs recommended by LaCie.Well, duh!How stupid do they think I am?Still waiting on a response to my response to that.Tech support is slow and their stupid list of FAQs on their site is useless as I don't think it gets updated. There is no denying Lacie makes a great set of products - nice brushed alumanum casing, drives that sense when the computer turns on and off - and its compatible with both Mac and PC.I happen to use both. Burning CDs is a cinch (I have yet to do a DVD) and the Lightscribe program gives you a good basic set of tools to create labels for your CD.People with greater needs for graphic and type control will probably want to import their CD labels into the Lightscribe program rather than rely on the basic presets and type controls controls that went out of style ten years ago.So far though, I'm satisfied - and the lightscribe program is only version 1.0 so there's going to be an upgrade sooner or later. The reason that this didn't get 5 stars is because the software came on a DVD.Here I am with two computers, both of them with a CD-ROM drive, and they couldn't fit 123 MB of programs on one CD.By e-mail they suggested I put the disk in the drive, and it would be automatically recognised.Wrong.Luckily, I have access to a DVD drive on another computer, and I burned a CD-ROM image of the offending DVD.Loaded the software in that way and got the thing working. It's a shame that software and hardware vendors assume everyone has the latest and greatest gadgets humming at their desks. If you want to burn a double layer DVD with a Lightscribe label you're going to have to wait until they make the media for it. Right now, as far as I can discover, you can either get Lightscribe-able CDs or 4.7 GB DVDs from Verbatim, but they don't make double layer DVDs that are also Lightscribe-able. So don't be disappointed, like I am, when you discover you can't use both really cool features on the same disc. I've bought this drive from Amazon in January 2005. It's hooked up to a laptop in my house that functions as a file server, so the only purpose of that laptop is to accept the files and give me the capability to burn them to the DVD. The drive is a gamble to say the least. 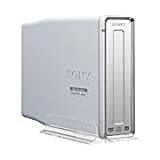 It seemed to work well with Sony DVD-R blanks, very few corruptions or errors during the process, but then after I tried Sony DVD+R and bought a whole bundle of Office Depot DVD+R blanks, things got worse. The Roxio software would complain about "Not a valid recordable media" in the drive, even though it was a virgin clean blank from the pack, the exact same pack that just had a workable disk yesterday. Sometimes I would get the "Unspecified error 0x01" roughly 3 hours during the burn process, which is extremely annoying (forgot to mention I hooked it to USB 1.1 port, so it doesn't function at 16x, but that's my fault). Other times it would be another "Transcoding error" and "Unspecified error" with trashed blanks. I'd say I get about 30-35 successful burns with this drive on a 50-disk DVD+R pack. The rest of the blanks have to go in the garbage. Lately I've installed Nero over Roxio software with its "useful" error messages and things seem to run smoother. This would be an okay performance from a no-name cheap Chinese drive purchased in a bin at Fry's, for brand-name Lacie drive the quality of both software and the hardware is quite low. I purchased this to work with my iBook G4, which does not have a SuperDrive. I wanted to make DVDs with iDVD and this worked fine. I did need to find a patch online to get iDVD to recognize the drive, but other than that, once it stated working, it gave me the results that I wanted. It also was quick when backing up my data files. Comes with Toast Lite - which can also be used to burn DVD movies. It isn't "light" weight or noisy which is nice. And once you unplug the USB cable, it shuts itself off. NOTE: IF YOU ARE BUYING THIS TO USE IDVD, YOU NEED IDVD VERSION 5 (which comes with iLife 05), Older versions of this program will not recognize or burn to this drive. When you get it working, the drive is fine. It does what it is supposed to do. However, the way to get it working is not so smooth. It comes with 2 CDs and a lot of software and the installation process is confusing, but doable. The case is really heavy. Probably it's supposed to attract big truck/SUV buyers or something. It's actually not a bad thing, just unusual. So if you are not afraid of technology, the drive is ok. But if you need something really hassle free, maybe you should try some other one. I bought this drive to use on both PC and Mac, and paid extra for double layer and lightscribe capabilities. After fiddling with it for 2 days, I am returning it. It is as slow as my old DVD writer (internal) at copying movies from my hard drive (appears to be 1x). The tech support is lousy (not toll-free, and busy all the time), the enclosed software difficult to use, and all in all I am extremely disappointed. I am a computer trainer by profession, so I figure if I can't use it, a lot of other people won't be able to either. Don't bother unless you want to beat your head against a wall all night trying to get it to work. One of the finest electronic device made and a must have for laptop owners.Not very portable, but is a faster option then an internal DVD-r for a laptop. LaCie is really giving you a lot for this quality DVD-burner.I have burn over 30 DVDs since August 2004 for backing up files, making home movies and there haven't been any problems yet. The software that comes with this burner is for Mac and PC.I use the PC's software, which include Roxio's Easy Media 7.0; that can burn movie, CD and DVD, and do some simple editing.Converting a file to a video on a slow laptop is kind of long though.There is a DVD player software included also, but there are a dime a dozen out there.I burned at 16X, 8X, 4X speed on DVD-R and DVD+R on Sony, Verbatim, Memorex, Fuji, TDK media and they all work fine.This drive is one of the faster external DVD-r options available.I have yet to use the expensive Double Layer DVD media option. 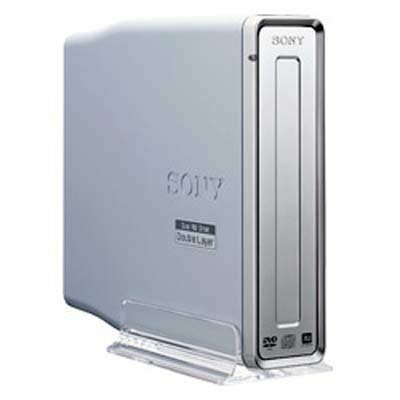 The drive has a nice metallic silver exterior that is very robust and sturdy, with a blue ON/OFF button, connection to a firewire or USB2 output. I have a Dell 8200 PIV laptop with 1gigs of ram, with an 80gigs external firewire hard-drive that connect straight to the external D2 burner.It is somewhat smooth and quiet NEC's drive.Hopefully it will last a long time. 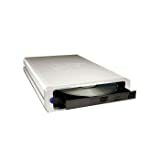 Sonys DVD burner incorporates 8.5GB DVD-R Dual Layer, DVD+R Double Layer burning and dual format 4.7GB DVD burning. Double/Dual Layer discs let you store up to 8.5GB on a single DVD+R Double Layer or DVD-R Dual Layer disc, giving you plenty of room for more video and audio entertainment, digital photo archives, and information storage. DVD+R burning speed is a blazing 16X max, burning a full DVD in approximately 6 minutes. Double Layer and Dual Layer Recording speed is 4X max. DVD+RW speeds are 8X max for DVD+RW and 6X max for DVD-RW respectively. Ultra fast 48X max CD-R burning means you no longer need a separate CD Burner for good performance. What hasnt changed is the DRU-800A comes bundled with an unbeatable Nero 6.6 software suite and also includes a black front panel to match black colored PCs. Award winning Nero Software bundle for burning all your video, music, and data to DVD or CD. Includes black replacement front bezel for matching the drive to a black PC case. I am the fourth review and the third to complain that the tray bezel won't fit my computer case. The tray won't even open because the idiots at Pioneer decided to make the front of the tray be as big as the entire drive! Very poor engineering. I wish that I could tell you how it performs but I have to take it back without even getting a chance to see the tray open. And the worst part of it is that there was absolutely no need for the drive to be designed this way. They were simply trying to make it look "pretty". Fools... they are going to be getting a lot of drives returned. I bought this drive after having some issues with a Sony DRU-720A.This drive performs wonderfully.It runs very quietly.I have not yet burned a dual layer DVD (they are rather expensive) so I can't comment on that aspect of the drive's performance.Also, the tray eject motor sounds strong and very much up to the task. (It really bothers me when a drive sounds like it barely has enough power to eject the tray. )The only complaint I have is that I had to do some trimming to the plastic fascia on my case to accomodate the drive's wide tray.There isn't much more to say: it just works great. Just recently purchased the A09XL (first dvd player/writer for my PC) and it's great.It runs so quiet, the fan in my tower actually makes more noise.No trouble whatsoever in reading/writing, very fast at that (using 8x DVD+R at this moment). The one problem I ran into, and you may want to check into this first, is that it didn't quite fit in my case.The way that the tray is setup on the writer (width is the entire width of the writer itself instead of leaving 1/4" or so on each side), my case wouldn't allow the tray to clear each side of the face on my case.When I had the writer in the top bay of my case, it wouldn't clear the top either (the tray is at the top of the writer).So I had to move it down to the second bay and also use my Dremel to make some "modifications" to my case so that it would clear the sides.The actual width of the tray (and the unit itself) is 5-27/32", so make sure your case can handle this unless you plan on doing some "modifications" of your own. No stars taken away since I think it's a Dell thing, this model probably really isn't meant for upgrading. FYI, the PC I'm referencing is a Dell Dimension 2400, so your results may vary depending how your case is setup. After that was all cleared up though, it's been smooth sailing. I have owned this drive for five weeks now and have been very pleased with it.I have burned dozens of DVDs so far, and the only coasters (ruined discs) I have turned out I would attribute to using inferior media.I ordered what I thought was 16x premium brand DVD-Rs from another online store and I received some generic 4x media.I tried the discs anyway and the results were poor. However, I have had 100% success with Verbatim, Memorex, and Staples store brand 16x and 8x media.The 8x Memorex discs even burn at 12x. I have not found a 16x disc yet that will actually burn at 16x speed.Pioneer recently released another firmware update, though, and I am hopeful that support for this speed will begin to become more common.That said, this drive is fast.I have burned full DVDs (single layer) in five minutes. I also appreciate how quiet this drive is.My machine also has a 52x Samsung CD-RW drive in it, but I find I am not using it anymore because the new Pioneer drive's motor is so much quieter. The DVD burner connected very easily through USB, was immediately recognized by WinXP, the software installation was fine. I was beginning to feel good. However, whenever I burned a DVD (I tried 4 different brands, some R, some RW etc...), several files would contain errors, and would be completely unreadable. The burning process moreover does not detect this: one needs to verify the data written to check and find these errors. Moreover, the firmware update just does not work on my machine, pardon, machineS. Completely standard Dell machines, all latest WinXP and drivers, good CPUs (3Ghz and up), lots of memory, big hard-drives. I called customer service to try to solve the problem. First of all the average waiting time to get to a technician was about 30 minutes. The rudeness and the plain lies these guys give you are amazing. To make a long story short, I had to call 3 times. First guy: oh, "of course it doesn't work, you have EasyCD creator installed!". Ok, I buy it, I go through the (painful) uninstallation process of Roxio's software. No problems solved. Second guy: "Oh, of course it does not work, it requires 10Gb of free hard-drive space! It's written on the box". Plain lie: on the box it says you need 10Gb for NeroVision (for burning videos), but only 1Gb for Nero. Quarrel (they are tough!) with the guy who could not care less about the fact I got him lying, or that the product description is wrong. Ok, patiently I freed up 10Gb from hard drive, try again, exactly same problem. The only thing they could offer in the end was a replacement. I got perhaps relative lucky because the replacement will be a 720, not a 710, since 710 is not manufactured anymore (wonder why?). Notice I tried this on two different machines (one laptop and one desktop), with identical results. Other lie: I noticed, as somebody else here, that the Nero software provided writes only on Sony drives: so if Nero is really the only software that should be installed because of conflicts with Roxio (et al.? ), you will never be able to use your own CD drive to burn CDs. How ridicolous is that???? The technician said this is because I had both software(s) installed, but that was another lie. The incompetence of these guys is beyond belief. If the new drive will not work, I hopefully will get a refund through my credit card. You know, the technician even said that that is not possible, credit cards companies do not do that (LOL). Good drive when it works, but warranty support is AWFUL. I am on my third drive now, thanks to the first two breaking. Sony sent me the 720UL as a replacement for my 710UL, but it's the same drive with the exception of some faster burn times and the 720UL doesn't support MAC OS. The Sony Service Center in Manning, IA gave me a huge runaround... first they agreed to pay for return shipping on the second defective drive. Then they called me back 2 hours later and refused to pay for the shipping. What a joke. Good drive when it works, but may god have mercy on you if it breaks after the return period. The machine works wonderfully, looks good; but people should be aware of a small, potent problem with the software.If you have (say) an internal CD-RW drive, and you're running Nero for it, this Sony DVD burner comes with its own version of Nero that wipes out your other version.And, this version of Nero will REFUSE to recognize a non-Sony burner of any sort.So, that's the end of your internal CD-RW drive!I bought this Sony for an office, intending to move it from machine to machine as needed, but this awful feature means I can't use it that way, because I would end up incapacitating everyone's CD burners.So, I have to keep it dedicated to a single machine.Might as well have bought an internal!What a design flaw, in an otherwise wonderful device!Whether or not this issue is of immediate concern to you, you really ought to be aware of it before you buy the machine. The good: Windows XP recognizes it.All you do is plug it in.I already had roxio software installed, and it recognized it as a drive, so I didn't bother installing the supplied software. I burned a CD about 5 minutes after opening the box.What a joy. It comes with a power cable , a USB cable and a firewire cable.You'll want to get a pack of DVD+R, which is the fastest format it writes.I haven't upgraded the firmware to get other formats to work faster, so I don't know if I could have bought something else to shove inside. It's quiet: as quiet as my internal CD-RW drive. It's pretty big.It's the size of an 8 port network hub.But as others have said, it comes with a stand, so it really doesn't take up much space when you stand it on its side with the stand.Unlike other smaller items that came with a stand, I really used the stand because it would take up too much space otherwise. It will lock up your PC now and again.Not all the time, but occasionally.Would a firmware upgrade solve the problem?Who knows, I don't have the guts to try it!I'll report back on how often this happens on windows XP. Decent burner, but why the Nero software (...)? I purchased this burner a few weeks ago. After struggling a bit to get it to work properly, it seems to burn discs reasonable well, despite being rather noisy. My concern is with the Nero software provided. Like most people, I rip audio CD tracks to MP3 format. This would seem to be a most basic feature of any media software. However, I was very surprised to learn this software requires the user to purchase an additional MP3 module at the cost of $20 once the free limit has been reached. That limit is 25 tracks, so you will be good for one, maybe two CDs before stumbling upon this "now you see it" feature. I can only wonder what other surprises await me. I am on my second drive now, the first had to be sent back. It barely worked and finally the tray wouldn't even open. The first and current drive had many failures. I mostly burn DVD's of home movies and have had to throw out as many DVD's as have been successfully burned. I now use the lightscribe for labeling only. I have burned one good label out of 1 attempt on the replacement drive, the first drive failed 2 out of 3 attempts. The old Plextor external DVD drive has been much more reliable burning DVD's. I have yet to try a burn of a CD, but would assume it works fine for that, but that's not the real reason to own one of these drives. I have not yet tried a dual layer, but based on current results, I would not expect it to perform well. I just bought this today at Wal-Mart and after burning the free sample CD included, I am very impressed. I can't wait to see how far this technology will go! I've had my drive for 2 weeks and the labels look great! Verbatim makes both CD-Rs and DVDs for lightscribe and these are readily available on the net. The drive is a little slow-20 to 30 minutes for a label.Realistically I might burn 1 or 2 a day and the burn time has not been a problem for me. I sure liked throwing away my sticky label mess! Burn DVD "Labels"? Oh really? I've yet to see any blank DVDs for sale that are compatible with this Lightscribe system.CDs, yes, but DVDs? Not even onHP's website.Search Amazon and you'll find a product from Memorex that is, suspiciously, not available.Wish they'd change the promotional copy, or, if I'm missing something, I wish they'd make it clear where to find inScribeable DVDs. I've used it for a couple of CDs, and it does look kinda cool, but it takes a long time, particularly at the advanced quality setting (don't bother, you'll hardly notice a difference), but I wouldn't base a computer purchasing decision on it. It came standard on my new Pavilion A1039n, which is doing great so far, no complaints-- unlike the lemon A630n which I purchased 1.30.05 and am STILL fighting with HP about. Introducing Panasonic's first dual-deck DVD-Video recorder/VHS recorder, which enables you to easily dub home movies and recorded VHS tapes onto eitherDVD-RAM or DVD-R discs, and from DVD discs back to a VHS tape. It also plays back music burned to CD-R/RW discs as well as MP3 digital audio. The DVD side of the DMR-E75V features progressive-scan video playback and great sound thanks to the Dolby Digital and DTS output. 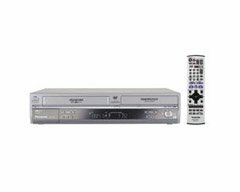 The unit also offers twin NTSC TV tuners, enabling you to record two channels at the same time (one on DVD and one on the VHS VCR). Other features include variable data rate settings, a front A/V input, and composite-, component-, and S-video connections on the back. With Chasing Playback, an element of the Time Slip feature, you can watch a program currently being recorded from any point that's already been recorded--while continuing to record the program in process. Simultaneous Recording and Playback, the second element of the Time Slip feature, lets you record a program onto a disc while you're watching any other program that's previously been recorded on the same disc. DVD-RAM: DVD-RAM discs can be rewritten up to an incredible 100,000 times, whereas DVD-R discs are write-once. They come in double-sided (9.4 GB capacity) and single-sided (4.7GB) varieties in both cartridge (provides additional protection) and noncartridge types. 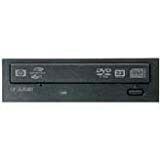 DVD-RAM discs can be played back on DVD-RAM-compatible DVD home players and portable players. Progressive scan: Progressive scanning, otherwise known as 480p ("p" for "progressive"), creates a picture signal with double the scan lines of a conventional interlaced picture, 480i ("i" for "interlaced"), to create a noticeably sharper image. Standard DVD players use interlaced scanning to produce a picture. Interlaced scanning combines two fields to generate a picture of 525 scan lines (480 of which are displayed). Your television projects an interlaced image by first scanning the 240 odd-numbered lines of one field (in 1/60th of a second), followed by the 240 even-numbered lines of the other field (in 1/60th of a second). A progressive video processor enables all 525 lines (480 of which are displayed) to be scanned at the exact same time. A television with 480p component inputs completely scans the entire image in 1/60th of a second, so it only takes one field to build one frame of video. This would be a perfect machine if the sound were as good as most of its sibling recorders. the only reason i gave it 4 stars was due to inconsequential feature lacking. otherwise 5 star all the way.yes manual is difficult but with patience completely understandable.this is the first review i've ever written & really the only reason i'm writing it is to correct the misconceptions and to stop people from being scared off of this machine due to misinformation. first of all finalize. secondly,and this is the real reason i'm writing,all brands of 4x,sony's 1-8x, and in response to an earlier review my memorex 8x work perfectly. 4x is very hard to find now so i've been buying the 8x at first shyly now with confidence. which ABSOLOUTELY WORKS.buy with confidence.by the way have had this machine for quite a while and have dubbed & recorded 40+ discs so far. Be aware that if you wish to dub a VHS tape to DVD, unless the tape was originally recorded by the Panasonic unit, YOU WILL EXPERIENCE FLUTTER/EXTREME TRACKING PROBLEMS! !90% of my DVD's look like crap because the VCR in this unit is cheaply produced and trying to resolve tracking problems only results in frustration.So, if you like to watch your DVD's flutter, go ahead and spend $400+ on this Panasonic trash. Got this about a month ago.After reading the reviews, I was worried about the manual. However, I found the manual to be just fine, after you get used to it. (But, I do read technical engineering manuals in my job! )This unit is very easy to set up!I like being able to record on both VHS and DVD now! My only complaint is that the DVDs I bought don't record for more than 2 hours in EP mode.I bought the Panasonic DVDs, since there was an insert for free shipping from Panasonic.I thought the DVD cartridge would go for 4 hours in EP mode.However, you have to physically turn the cartride over;i.e. you only get 2 hours per side.So, I don't think the cartridge is worth the extra price. Overall, I'm very happy with this unit! I have to admit, at first I was a little intimidated about entering the world of DVD writing and authoring. With all those formats out there I felt confused. And if you are like me, you have a lot of old VCR tapes around of your favorite shows that are taking up valuable shelf space in your living room. They weigh a lot too if you need to move them. 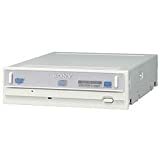 But the Sony DVDirect VRD-VC10 made it easy and fun to reduce my video tape clutter. As a stand-alone recorder, all selections and options are available from the well-designed front panel and display. Connect your video player or camera to the back of the unit, push "Record" and start your VCR player. That's it. When the recording is done, you push a few buttons to finalize your disc and eject it.I especially like the "auto-play" feature which lets your DVD start automatically when inserted in a DVD player. However, this feature seems to disable the auto-chapter function which creates chapters at set intervals. 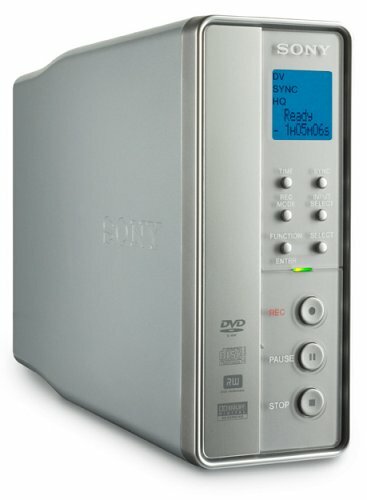 The Sony unit also automatically formats your blank DVDs, a nice touch. Contrary to other reviewer's experience on this page, I was able to use Memorex DVD+R discs just fine, even though they are not on the Sony list of approved brands. As a stand-alone recorder the unit is limited to the "+R" (or "+RW") format. If you need "-R" for your DVD players, you might want to consider the newer VRD-VC20 which has compatibility with both formats. Curiously, the DVD+R discs I recorded would not play on my older Sony VAIO desktop, but worked perfectly in my Toshiba laptop and Samsung DVD player. Many recent DVD players read the "+R" format so youneed to find out what format your equipment requires. The DVD copied from a video tape in the Standard Play mode (for 2 hours of recording time) showed only a slight loss of color from the original tape. Copy quality is very good, overall, in my view. The Sony also records in a one-hour High Quality mode and 6 hour Long Play mode. As a stand-along unit, the VC-10 only records with analog inputs. If you want to go directly from your mini-DV camcorder to the Sony, get the newer VC-20 model. Connected to your computer, the unit works with Nero 6 burning software offering many possible ways to use the DVD burner, including CD copying and video disc formats. Overall, I like this unit a lot for its simplicity and ease of use. 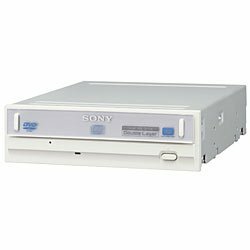 Sony has a good idea with the DVDirect and the price is not that much more than other external drives. The Quick Start Guide that comes with the unit is straightforward and very understandable. I was able to start copying my old video tapes within a few minutes of taking the Sony unit out of its box. 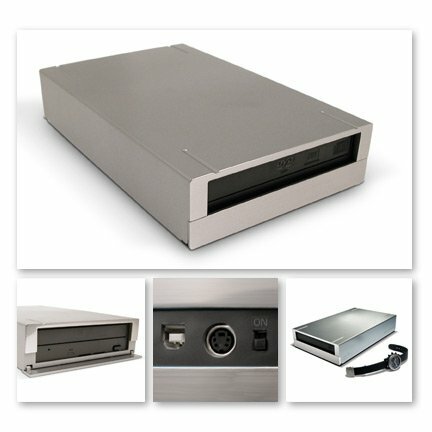 If you want a DVD burner that can connect to your computer and also be used to make copies of VCR and camcorder tapes, you should seriously consider this model. Similar to the review before mine. I bought this because i thought it records on both -/+ formats. Even on the unit it says - and + but it only records to + which isn't compatible with a lot of players. i inserted a dvd-r, and it said please insert a dvd+r or +rw... bummer i had high hopes for this thing. up on eBay it goes. On the positive side, it is an attractive unit. In the negative side, it will not directly record unless you use the "+" format. Unfortunately this is not compatible with many DVD players. Sony gets an A+ in my book! To start, reading some of the other reviews on this page it seems many either are trying to do things with the wrong equipment attached (Laptop? Throw all the memory you want in it, but the bus speed is what kills you, use a desktop!) or who are not familiar with NERO software (probably the best for the PC). If you don't know how to use NERO, find another. DVDxCOPY had no trouble copying one of these DVDs for me. Purchased from DELL, $251.00, $35.00 Preffered Discount, free shipping on 5/9/05, total was $216.00. I took this unit out of the box, connected my video camera (8mm) and then had a DVD in about 2 hours that played fine. I connected to my DESKTOP PC (1.8ghz, 512RAM, WINXP) and made a nice set of menus on another job and burned another "PERFECT" copy. The quality is a great considering the source. To me this unit was worth its weight in gold! My kids have been watching home movies in their own DVD players all weekend. I found several clips that I did not know that I had on hand as well. The best part is that it is "STAND ALONE", I made 15 2 hour DVD without a PC while I was at work all weekend. Since I am so far away from were I grew up (1400 miles), this year I am planning to send a set of 25 (2 hour) DVDs out to my Grandmother, Mom, Dad, and a couple of others. Buy this unit and enjoy it! Remember, those old films only last so long in storage, and on a DVD you can bounce around pretty fast to parts you want to see. Sonys newest Double Layer, Dual Format DVD/CD burner has several DVD recording performance increases. DVD+R burning speed is a blazing 16X max, burning a full DVD in approximately 6 minutes. Double Layer Recording speed has increased to 4X max. DVD+RW speed has also increased, with DVD+RW burning at 8X max and DVD-RW burning at 6X max. What hasnt changed is the DRU-720A comes bundled with an unbeatable Nero 6.6 software suite and also includes a black front panel to match black colored PCs. After installing this drive in my case, whenever the drive was in use, my hard drive light would constantly stay lit.The drive itself seemed to work fine, but the light staying on annoyed me so I took it back and bought a Pioneer DVR-A09XL which works wonderfully.Also, the tray ejection motor sounded really weak, as if it could barely push the tray out. 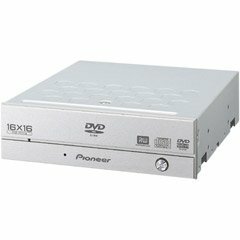 I was holding off buying a DVD burner until I could get my hands on the (relatively) new Plextor 16x double layer burner at a reasonable price. However, it appears that Plextor burners (the benchmark for optical drives) are being plagued by quality problems at the moment, so I was forced to look elsewhere. I stumbled upon the Sony DRU720A at my local retailer, got a good price (not as good as the current offer here at Amazon!) and took it home, not expecting much. My main purpose for the burner is to make backups of roughly 100 DVD's containing home video, transferred from VHS using a set top DVD recorder. So far, I have burned just short of 40 discs with the Sony, and I am pleasantly surprised! My Windows XP machine recognized the drive right away and the included Nero software installed without a hitch. I haven't tried all the software bits yet, mainly the DVD copy function which works great. I'm using Sony 8x DVD-R media off a spindle and haven't had a single failure yet. I have no problems in burn DVDs data films etc.. Very easy to install and it was reconized by my XP. I really recommend this product for everyone, I have a Sony CD-RW for more than 5 years and is still working nicely. I hope this DVD drive will do the same. Thumbs UP for Sony and this DVD-RW. Anyway, it was purchased in the middle of December 2004, and has more than paid for itself by making DVDs, backing up my favorite DVDs (special software in some cases, of course) etc.I have had absolutely NO problems with it.I use name-brand blanks (FujiFilm, Sony, Memorex, etc) CDs and DVDs.Its worked like a top.The only coasters I made were my fault, thanks to tinkering.If you leave the defaults alone, you should be fine.But the drive has capabilities to play with, if you so desire. I kick it along with a 2ghz Windowz 2000pro machine sporting half a gig of RAM (next order of business, more RAM). I'd buy another in a heartbeat.No problem. Note, its not my first Sony Drive, but I've also owned quite a few of drives from various manufacturers (including generic CD burners, etc), and I tend to push things to their limits.If it can break, I'll certainly break it.If I break it, and its my fault, then I don't blame the manufacturer (but it had better be able to do what they say it can). This drive has exceeded my expectations. It is fast, reliable, comes with an excellent software bundle, and is VERY competitively priced. After reading some other negative reviews, I have a couple of hints. First, use NAME BRAND blank media. You would be amazed at how much of a difference this makes in compatibility. Phillips, Memorex, TDK.... these are the brands you want to go with. Some of the lesser known brands do not write properly and work in fewer TV dvd units. Keep in mind that the quality/features of your TV dvd player may be a factor in whether or not burned dvd's will work at all. Second, if you are having problems burning/verifying a dvd, make sure it is set to 8x speed, as most media available right now is only good up to that speed. If you try to set the speed at 16x you will undoubtably mess up your burn. So... in other words... buy high quality media, keep your settings where they should be, and have fun using this drive, because it is great! Great and Easy DVD/CD Burner! More like 4 1/2 stars! The Pioneer DVR-S806 doesn't look flashy, but rather simple. And the good part is that the operation is also very simple. It's a handy unit that can be placed vertically or horizontally. The connectivity is convenient too as it has the FireWire IEEE 1394 connections and the USB. To begin with it's best to immediately install the supplied Software disk in order to be able to burn DVDs and CDs. Some things that bothered me that during the burning process if the files surpassed the disk capacity the CD-R would not be finalized and such a CD-R was longer be usable -- there should be some sort of indication before the burning process to let the user know of this or that disk can be used. Also on the speed of CD-R media there were a few problems regarding that during the burning process suddenly a message popped up that the burner can't burn at this speed, and then this particular CD-R once again was no longer usable. It probably just takes some fine-tuning on the user's part to use the correct DVD and CD media for burning, etc. The final product is perfect and there are no complaints. CDs (the CD-R media) are immediately playable in any CD player as well as the DVDs (DVD-/+R media) in most DVD players (let's put it this way that I had no problems at all with the DVD players that I used). Although everything works fine and I think this is a top-quality reliable product at a great low price, I don't feel like giving it 5 stars because of the little thing/lack of initial info with regarding CD-Rs, but maybe other burners are the same. I bought this external dvd burner for my old laptop (year 2000 model with 512 MB memory) about one month back and I had no problem so far. I have burned around 75 DVDs (16x, 8x), 10 CDs. Because my laptop is an old one it took around 1 hour to burn each 8x DVD, but when I borrowed my friends laptop (which is year 2004 model with 256 MB memory) each 8x DVD was burned in about 5 minutes. Amazing difference a new laptop made. Pros: This burner works so qietly, I am really impressed. Easily plugged in, no errors or issues so far. Cons: No documentation or manual comes with the product whatsoever. I had to rely on their website (www.lacie.com) for some information. Mine works fine with 8x discs and Nero Ultra 6. Amazon has the wrong picture and actual Model 300776U cannot be used in vertical position for space saving. There is no stand either. You can put it on the PC horizontally if it's for PC. I sometimes used with my Compaq notebook. It's cool and quiet. Other than the positon, it's fine with single layered DVD+R/-Rs for 3 months now. I don't give 5 stars because I haven't triedwith Double layered discs yet as well as tech support... who knows? ... you may need it one day... So far, this is much better than Plextor EXTERNAL PX-708UF with extremely slow speed and poor tech support. On paper the product looked great. And the box is small and sleek. But when my drive arrived and I followed the directions and plugged it into my USB hub I got complaints from my usb bus along the lines of 'voltage overload'. And I smelt a burning plastic. It never worked, and I think my hub and one of the ports on my USB card are now burnt out. I was not impressed. Slow DVD-R speed limits this burner. 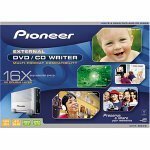 Software includes - Easy CD & DVD Creator, DVDMax player(PC), toast lite (Mac). Even though its capacity is smaller, I chose Roadstor over a flash-HD for safety. I figured, when travelling I'd burn two CDs each time, keep one and mail the other home. Cheap insurance. If a flash-HD has problems I've lost all my pictures in one shot. Had 500+MB of data to transfer from a CF card. First attempt: Roadstor hung at 58% complete. Result: one (more) silver-colored drink coaster. Second attempt (with different brand of CD-R): burn completed successfully. Approximately half of the photos were fine, and the other half were garbage. Were covered in wierd color casts, portions of the right edge of the image were on the left, vice versa, all kinds of strange stuff. Verified in ACDSee, Paint Shop Pro and Irfanview on two different computers. Back it went for a refund. Even though it's an extra step, I'll find an internet cafe and burn my CDs off the flash HD. Roadstor doesn't even deserve one star. After reading a lot of mixed reviews for this product I finally just decided to see for myself. Indeed, after opening the box it took some minutes to figure out the best sequence for things, but after that the device worked flawlessly. No problem with the cord from the adapter being too loose. It read my 40x 1GB flash card no problem as well as some old smartmedia I tried. Burn time for 650MB was approx. 20 minutes. No problem burning multiple sessions, I just needed to switch off & on to burn to the same CD. Hooked up to the TV it played the picture-CD's (and homemade DVD's) like my nomal DVD player. 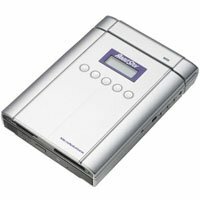 I didn't test any audio CD's because I really need the Roadstor to burn all the pictures I take on the road or on vacation. For this purpose I would give this device 5 stars, but it does NOT see my memory stick PRO media (it should take "regular" memory sticks but I don't have any) and that is too bad. Maybe Micro Solutions will make a firmware upgrade available to download in the future. I agree with everyone who has posted about this item. I purchased it, tried it and was not able to get it to actually work while I was on vacation. I burned (i.e. wasted) three CDROMs which never succeeded in finishing, and when I talked the guy in the photo shop to let me use his computer to verify what had happened, it was clear that the CD was not properly burned. Fortunately I had a 1GB card in my camera and did not run out of storage. It would operate for a while and then simply spit out the CD without any message or failure notice. However, I was able to get this to work like others have. The problem is two fold. First, one reason I had such difficulty was that we were on a cruise ship at sea. Apparently this unit is PARTICULARLY motion sensitive. On "shore" it works perfectly as long as you LEAVE IT THE HECK ALONE. Second, the internal software is so buggy you expect to see them come crawling out the CD drawer. The thing locks up with no diagnostic messages or recovery mechanism except power cyling. If you push the wrong button, you end up with the thing locked up and it ignores any buttons or anything with the remote control. It works fairly well as an accessory burner and I have burned dozens of MP3 backup CDs as well as audio CDs for my car. 1) Be sure it is fully charged. 2) Turn on the power. 3) Insert a blank CD. 4) turn off the power. 5) insert the memory card. 6) turn on the power and wait for the display to let you know it is completely ready. 7) press the "backup" button. 8) wait a few seconds. 9) press the "backup" button again. 10) watch the display progress through the backup. 11) watch the display progress through the "table of contents"
0) always make an "image" file first, never write the CD directly with just the current layout. 1) plug in the burner to the wall and turn it on with no CD in it. 2) wait for the display to indicate that the device is ready. 3) plug the USB cable between the burner and your computer. 4) wait a good 10-15 seconds for it to be recognized by windoze. As long as you realize this device has one of the buggiest firmware codes I have ever seen in a consumer product, and use it in one and exactly only one way, you will be happy. If, however, you actually expect it to do all of what it advertises it does (like for example play a DVD - you can play the DVD alright, you just cannot navigate the menu and select the actual "play" option...) you will be sorely dissapointed. The problems that others had are possibly not defective devices (although it is entirely possible) it may just be that they pressed the wrong key in the wrong sequence, the thing got confused, and they got mad because they assumed that the person writing the firmware code Had A Clue (tm). I have not used the similar Sony product and did not buy it simply because it does not support compact flash. This omission was a stupid decision on Sony's part and is an obvious ploy to push their own memory card technology, however Sony has to realize that I am not going to walk away from compact flash technology just because of their portable CD burner. Grow up, VHS won over Beta, and this is the same argument. Out of the box perfect! No errors, no problems. CDs burned by the Roadstor can even be read by my finicky, piece of junk, HP drive. I took it to work and tried it in both an old, ready to be replaced Mac, and another PC. No problems. On the road I will be making double backups and checking on the motel TV that the images transfered all right but that's common sense. It's also the reason I spent just a bit more for one that could be connected to the TV. I don't intend to use CD-RW with it because I don't trust those in any drive. CD-R are cheap and provide "permanent" storage. I got mine yesterday delivered from Amazon in 24 hours! (Just amazing -- I paid nothing for shipping selecting Super Saver Shipping - and here you are - delivered next day - but that's beside the point). To make story short - it did not work! When CD is loaded it starts making kind of loud whirling noise then stops and nothing gets it in backup mode. So I burnt few hours try to get it work and failed. Quick test showd that unit had latest firmware installed. But surely diagnostic messages are all misleading.